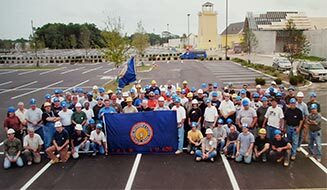 IBEW Local 400 has been providing the skilled electrical workforce to both Monmouth & Ocean County in New Jersey for nearly 100 years. Our commitment to safety, training and workmanship ensures that quality craftsmanship with on-time and on-budget results are continued to be met. With the direction of our JATC department we provide a five-year apprenticeship program, as well as requiring continuing education for our members to stay ahead of the demands of the electrical construction trade. 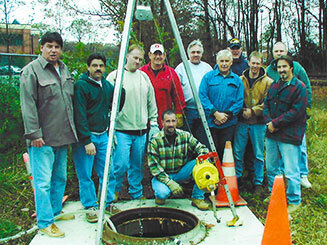 There are six industry areas where you will find the members of IBEW Local 400. Inside Wireman: electrical workers who install the power, lighting, controls, as well as security control systems and other electrical equipment in commercial and industrial buildings. 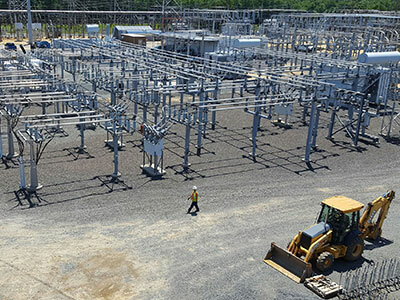 Outside Linemen: the electrical workers who install the distribution and transmission lines, that move power from power plant to a factory, a business, or your home. Residential Wiremen: electrical workers who specialize in installing all of the electrical systems in single-family and multi-family houses or dwellings. 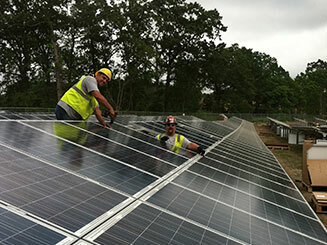 Photovoltaic (Solar) Installers: from residential homes to some of New Jersey's largest solar fields, these are the electrical workers who install, wire and maintain these systems. VDV Installer Technicians: electrical workers who install equipment for telephones, computer networks, video distribution systems, and other low voltage systems. Sign Wiremen and Fabricators: electrical workers who fabricate and install electric signs such as neon, matrix, and all other types of electrical based signage.